As you know, one of the biggest muscle car events of the year is about to take place at Route 66 Raceway in Joliet, IL, the weekend of July 12-15, 2012. 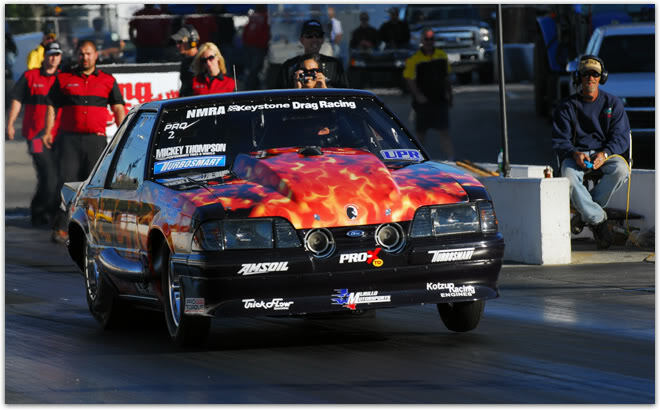 The 7th Annual Nitto Tire NMRA/NMCA Super Bowl of Street Legal Drag Racing, presented by Miller Welders, features all the cars and all the stars of NMRA and NMCA the same weekend in Chicagoland. This race, which also features a huge combined NMRA/NMCA car show, a giant manufacturers' midway and swap meet, and a 300 mph jet car is always one of the best motorsports shows of the year.